International Hot Tub Company, a new and used hot tub dealer with stores in Denver, Boulder and Highlands Ranch, Colorado is celebrating their award winning achievement by providing free hot tub spa test soaks in their energy efficient Hot Spring Spas. 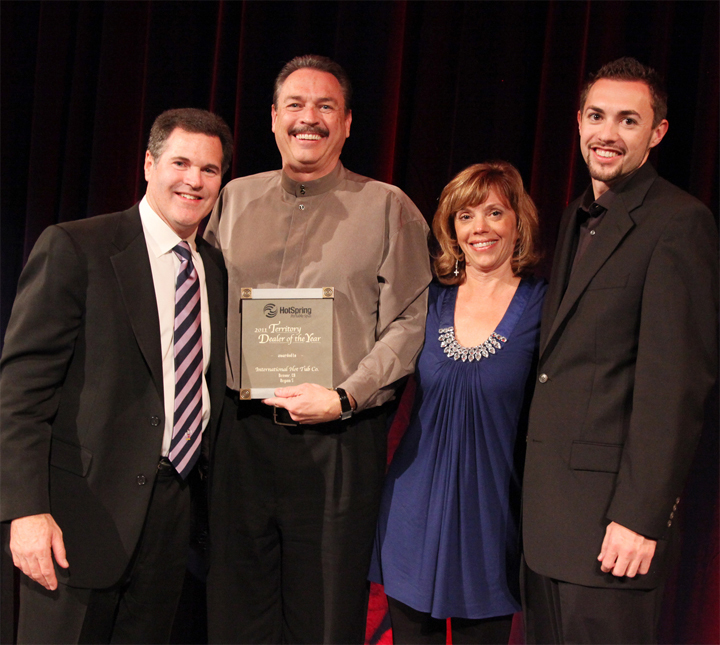 “Richard Hiner, owner of International Hot Tub, earned this distinguished award because they were outstanding in all aspects of serving Hot Spring customers,” says Mike Dunn, Executive Vice President of Hot Spring Spas. “International Hot Tub was selected as the leading dealer in their geographic region for excellence in sales, marketing, customer satisfaction and service,” adds Dunn. “Receiving this honor motivates us even more to provide the absolute best experience for our customers. We take tremendous pride in building great relationships with our hot tub owners,” says Richard Hiner, president of IHT Spas. “Hot Spring spas allow owners to relax and re-charge, or enjoy fun with family and friends in the privacy and convenience of their own backyards,” explains Hiner. “We are proud to recognize IHT for their exceptional performance. As spa industry professionals, they are committed to providing the highest quality sales and service expertise to their customers,” says Ryan Sessler, Vice President of Sales and Marketing, North America, for Hot Spring Spas.